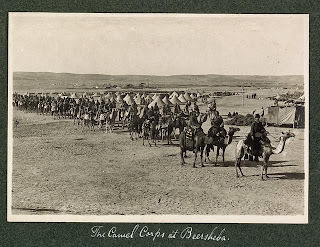 Photographers accompanied the Imperial British Army forces throughout the battles of World War I in Palestine, starting at the Suez Canal in 1915 and continuing through the capture of Damascus in 1918. The grand scale of the fighting in Palestine is not fully recognized today even by historians, with attention often focused on the European front. One statistic may put the fighting into perspective: The British army suffered more than half a million casualties; the Turks even more. 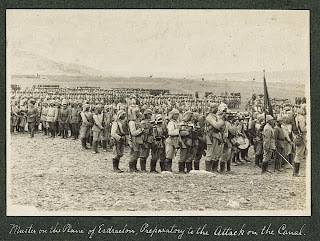 The Israel Daily Picture site has presented hundreds of pictures of the fighting between the British Imperial Forces and the Turkish and German forces on the battlefields of Sinai, Gaza, Be'er Sheva, and Jerusalem. Most of the photographs, such as those on this page, were found in the U.S. Library of Congress' American Colony collection. Click on a picture to enlarge. Click on the caption to view the original picture. 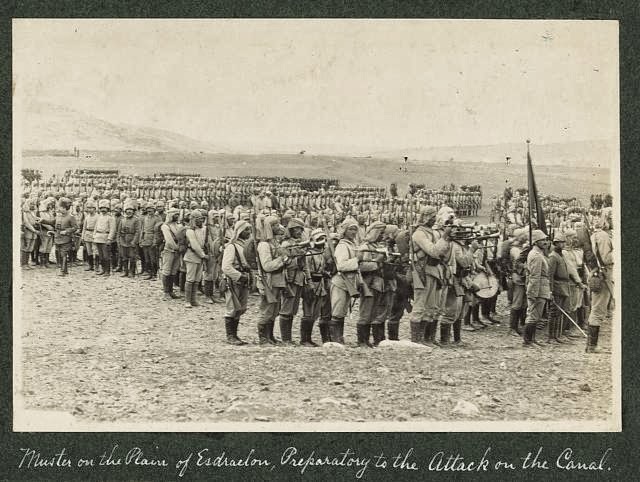 We present below a film from the British Imperial War Museum of British Commander Edmund Allenby's entrance into Jerusalem on December 11, 1917. 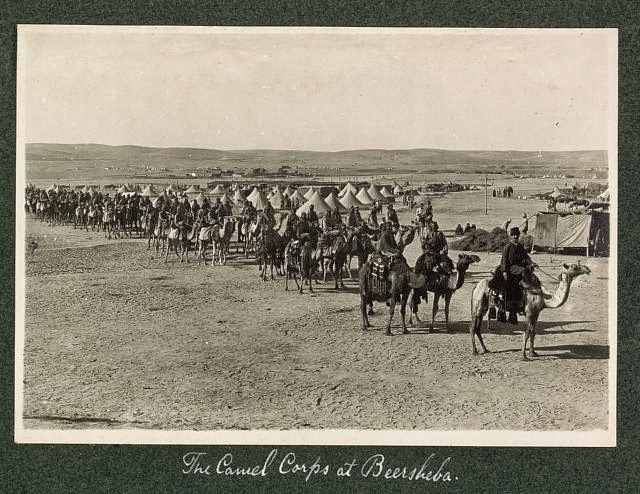 The General entered Jerusalem on 11 December, accompanied by his staff (T. E. Lawrence ["Lawrence of Arabia"] among them), French and Italian officers, and various other international representatives. 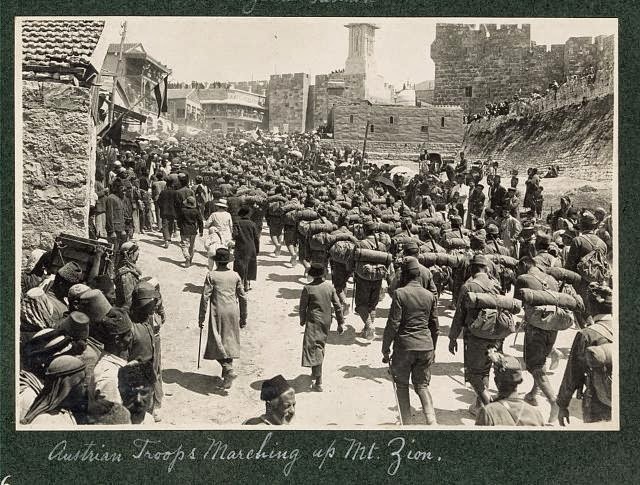 At the Jaffa gate he was greeted by a guard of Commonwealth and Allied troops; dismounting, he and his comrades entered the city on foot, as instructed. Allenby had been less than fifteen minutes in the city. 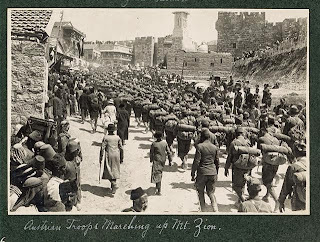 After 400 years of Ottoman rule, Jerusalem had passed into British hands.